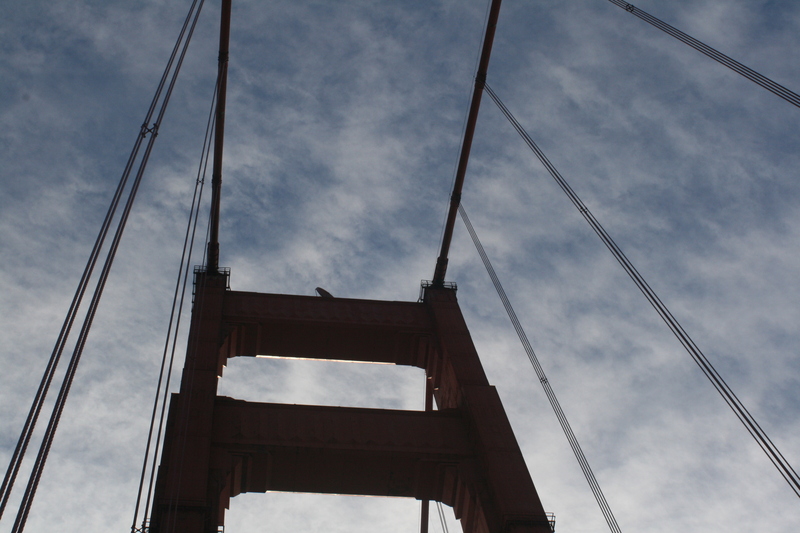 Have you ever walked across the Golden Gate Bridge? 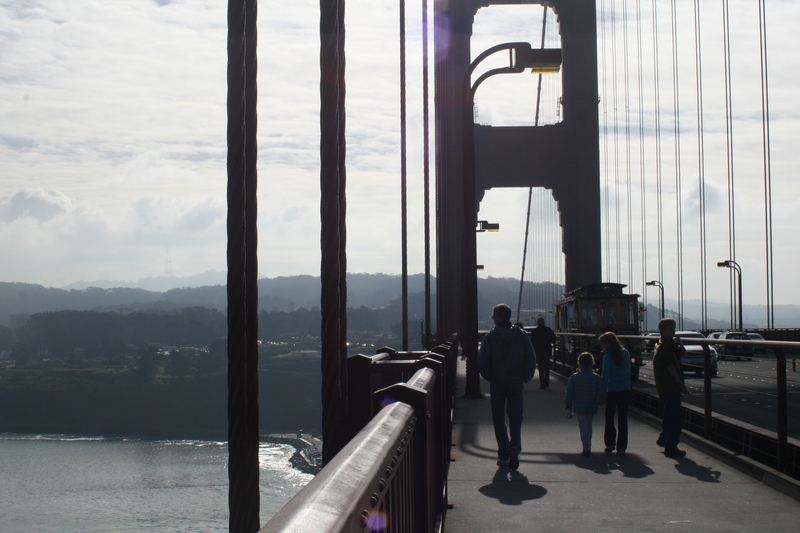 Even though I grew up in the San Francisco Bay Area and drove across the bridge hundreds of times, it took a visit with my family as a tourist to finally walk across the bridge for the first time. Though you can park on one side and walk back and forth, logistics are simpler if you have a willing driver, and we did. My sister-in-law dropped us off on the northern side of the bridge then she drove across the bridge to wait while we walked the 1.7 miles to the other side. It was December, the sun was warm and the wind just a little breezy. The six of us (two adults, two middle schoolers, a 6-year old and a 4-year old) strolled along the crowded walkway, avoiding bicycles (you can rent a bike and ride it across), photographers, and other walkers. 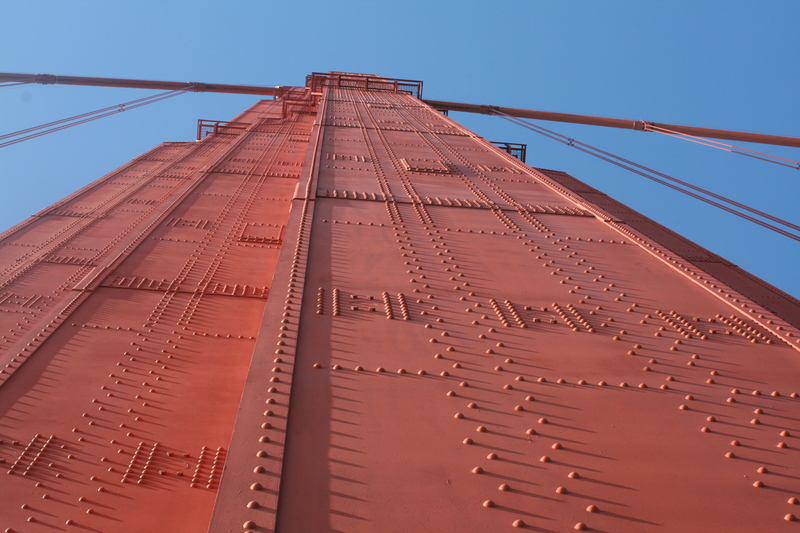 In between piggy back rides, we tried to count the tower’s rivets (600,000 in each tower) and gazed at the ocean. 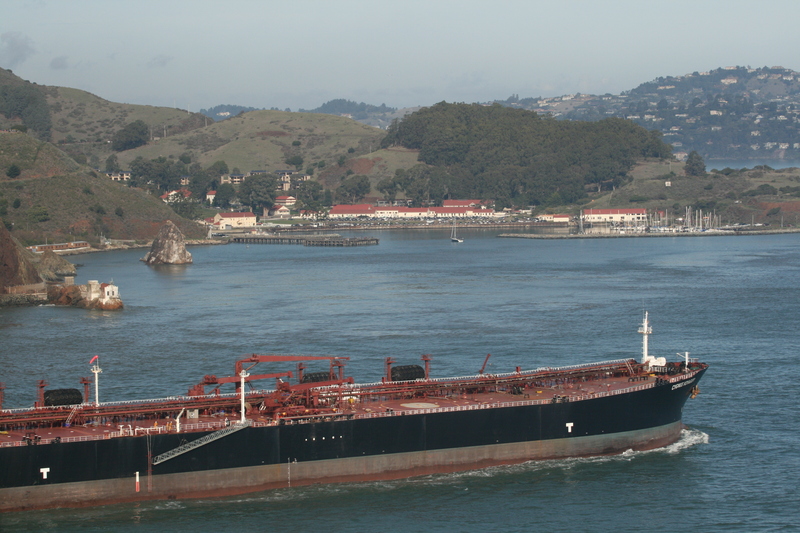 We took photos of the towers, Alcatraz, and the boats, enjoying the sun on our faces on this 55-degree winter day. We thought of my sister’s family who did the walk in July on a foggy, windy day wearing winter jackets and wool hats and knew how lucky we were. About an hour later, we were on the other side and ready for lunch just down the road at Crissy Field’s Warming Hut. For details on getting to the bridge, click here. For information about the bridge, click here.